The accurate, simple, affordable way to seal prescription medication in blister packaging. SafeSealRx® Unit Dose Heat Press is the revolutionary new way to enhance patient safety and increase your pharmacy operating efficiency. It seals prescription medications in 30, 60, and 90 day blister packs for accurate, sanitary and controlled distribution at hospitals, long-term care facilities, and retail pharmacies. SafeSealRx® Unit Dose Heat Press is manufactured in the USA, and will help you to meet all safety requirements, so you are compliant with new drug distribution laws. Every SafeSealRx® Unit Dose Heat Press is pre-programmed for ease of use—producing reliable results every time. The modern, compact design will naturally fit into your work environment and SafeSealRx® Unit Dose Heat Press can be cleaned and disinfected easily. It a lso includes a lifetime warranty. 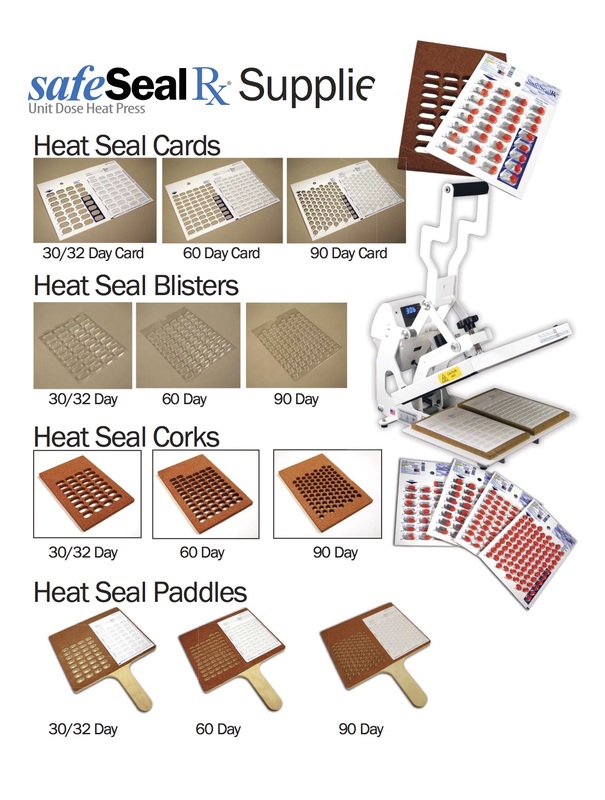 The remarkable SafeSealRx® Unit Dose Heat Press, technology at its best, is the best solution to heat sealing unit dose medications into blister cards for your patients.